Community Corner - Patterson Village On Facebook. With 40 years combined experience and expertise in the real estate industry, Melissa Pham and Daniel Nguyen are more than well equipped to provide you with an exceptional service to obtain the best results with satisfaction guaranteed. To celebrate our new opening, we are offering a special on commission rates for sales and a few months free management fees for rentals. To take advantage of this opening special offer, please contact Melissa on 0412 822 998 or Daniel on 0488 818 918. 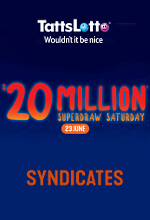 The $20 Million TattsLotto Superdraw is on Saturday 23rd June. Call in today and pick up your ticket to dream or your syndicate shares. A growing list of over the counter services are available at Patterson Road Tatts, News & Post, providing convenience for customers of an expanding number of innovative service providers. Here is an outline of just a few participants, more information is available on the providers website or app. Exchanging a SodaKing canister is now quick and easy to do locally over the counter. You are now able to pay cash over the counter for bitcoin purchases with Bitcoin exchange providers bitcoin.com.au, CoinJar and libertyX. Sending money worldwide and paying bills with the new bux app also has the convenience of cash transactions locally over the counter. If you want the flexibility of depositing cash straight into your betting account, Ladbrokes Cash-In is perfect for you. A pre-paid card can also be purchased in store! 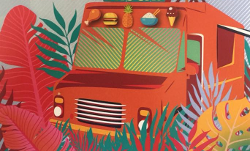 Community posts so far this year include: Groove and Graze in Halley Park; an invitation to have your say about a Men’s Shed for Glen Eira and a change for Halley Park that creates more open space in our community.